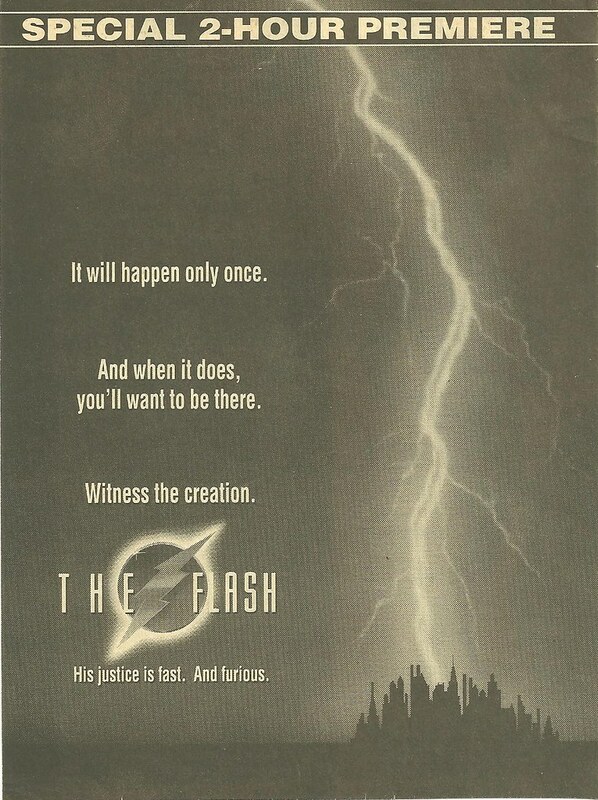 20 years ago today, on September 20, 1990, CBS aired the two hour series premiere of The Flash. The show originally ran on Thursday nights in a very competitive time slot, 8pm. 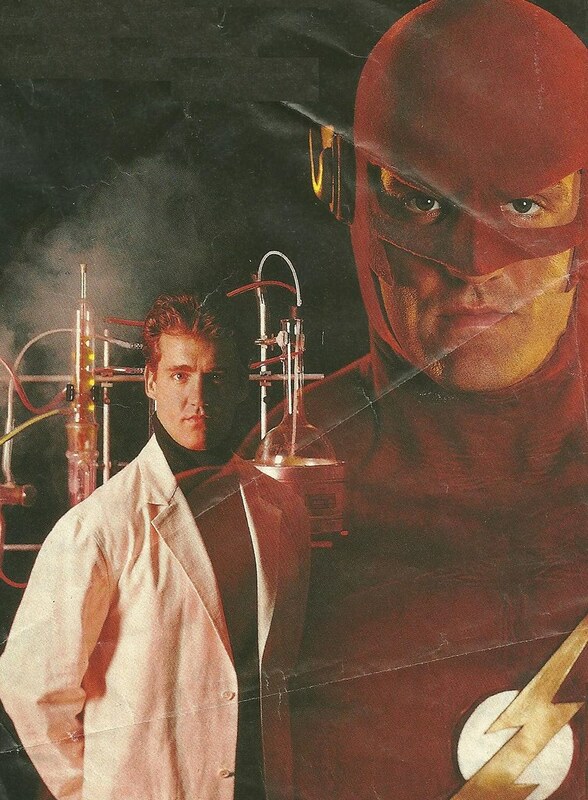 The show starred John Wesley Shipp, best known as Dawson’s dad on Dawson’s Creek, as Barry Allen, police scientist turned super speedster. Also starring was Corbin Bernsen’s wife, Amanda Pays, as Tina McGee. This new super hero show was directly inspired by the 1989 Batman movie. The same guy that designed the Bat suit for Burton also developed Flash’s suit. Danny Elfman composed the opening music which sounds very similar to his orchestral Batman score. The stories were also similar to Burton’s Batman, at least for the first half of Season 1. Many of those plots involved gangsters, drug dealers and evil corporations, a staple of the first two Burton Batman movies. Also, at the time, thanks to the speedster effects, this was the most expensive show on TV to produce. It cost over $1 million an episode, which is why it was so easy for CBS to pull the plug after poor first season ratings. I first heard about this show (pre-Internet Age, 1988 or 1989) on a trip to Six Flags Over Atlanta. Warner Brothers/DC owns the park so they were showing a quick 5 minute trailer on monitors all over the park. I was so excited because I had no idea they were even planning it and Flash is my favorite comic book character. So I was completely stoked by the time September, 1990 rolled around. The Flash would get a prime spot, like most hot new shows, in TV Guide’s Fall Preview. 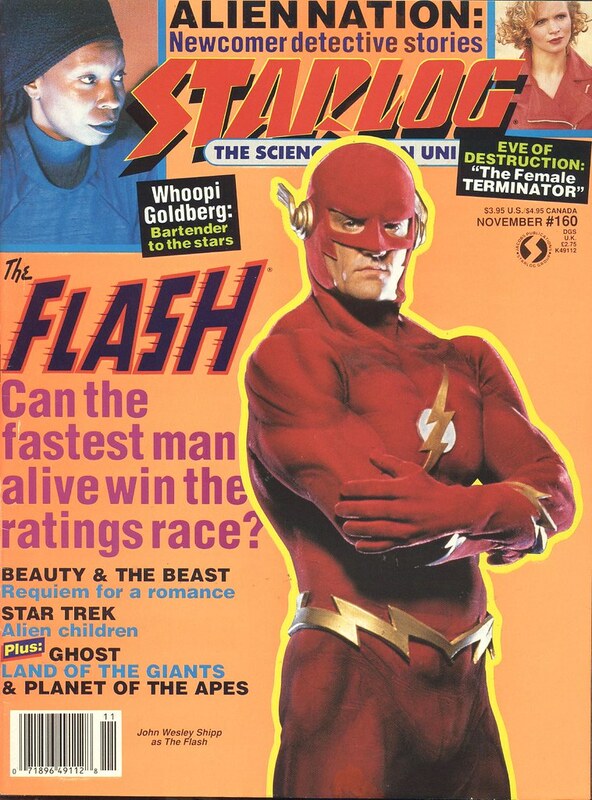 Here is The Flash’s entry in the 1990 Fall Preview issue (you can click it to make it bigger). Other shows to appear in that issue? Beverly Hills 90210, Fresh Prince of Bel-Air, Law and Order and Cop Rock. 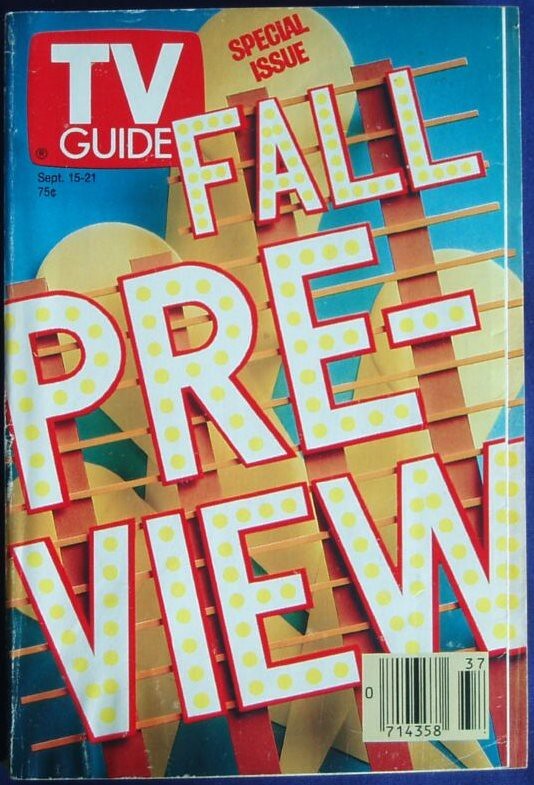 Maybe Shawn over at Branded in the 80s will do one of his TV Guide Fall Preview posts about this issue (hint, hint, Shawn). The initial ratings for The Flash were low, despite having the aforementioned really high production values and interesting stories. It just couldn’t compete with the ratings juggernauts of Beverly Hills 90210 and The Simpsons. In order to boost ratings a gigantic media blitz was launched to expose the fledgling show to its audience. Articles in newspapers and fan magazines like Starlog and Comics Scene tried desperately to drum up interest in the show. This worked to an extent but the network needed the show to appeal to the masses. Pretty soon, the more reality based stories gave way to more “super heroic” stories. Many of The Flash’s famed Rogues Gallery started to make appearances (see pic below). David Cassidy would play a surprisingly boring looking Mirror Master. Michael Champion played an interesting version of Captain Cold (albino hitman with a cold gun). But, most famously, Mark Hamill played a very over the top Trickster which would foreshadow his vocal portrayal of The Joker in the Batman animated series. The Trickster even had a female sidekick called Prank which was a precursor to The Joker’s Harley Quinn. Along with the more name villains, there was also a “blue Flash” clone, a tech wizard called The Ghost, and a lethal crime fighter called The Deadly Nightshade. 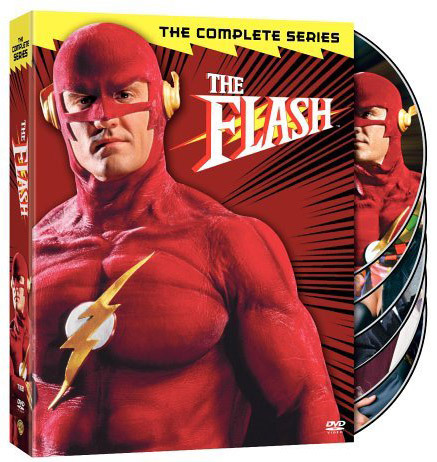 Hell, in one of the final episodes, The Flash is blasted into an apocalyptic future by a runaway missile where he must face off with the villain that was in the very first episode, his brother’s killer, Nicholas Pike. The Flash was definitely cheesy, but mostly entertaining and fun. And the super speed effects are still pretty good, considering this show was produced in 1990. For years after it’s cancellation, the show was only available on bootleg VHS tapes bought online or at comic book conventions. I had most of the episodes through a mixture of my own VHS recordings from when the show was originally broadcast and buying/trading for the missing episodes online. Regardless, there was one episode of The Flash that was pre-empted during broadcast and therefore was never available (If I’m not mistaken, it was the third episode, Watching the Detectives). Later in the ’90s, there were three official VHS releases which included the series 2 hour pilot, the two Trickster episodes as well as the two Nightshade episodes. However, now, the entire series is available on one DVD set. And yes, I have it. And I’ve watched it. I still enjoy the show. I even loaned the set to friends to watch who had never seen it and they enjoyed it. If you enjoy the first two Tim Burton Batman movies, you’ll most definitely enjoy this series. Give it a shot as it hits 20 years old today. Stay tuned. 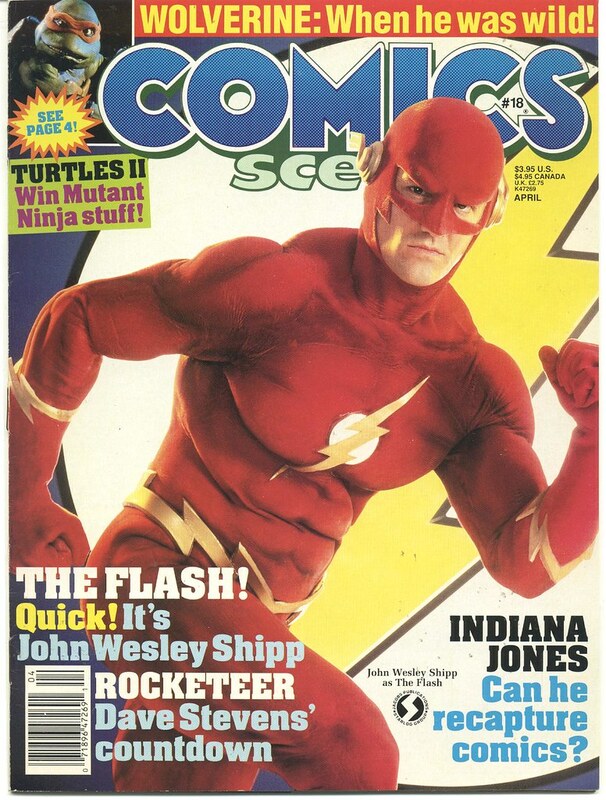 On Wednesday, I’ll take a look at The Flash TV Special #1. It was a comic book DC released to coincide with the TV series. The stories inside are based entirely within the universe of the TV show. This entry was posted on September 20, 2010 at 6:00 am and is filed under comic books, nostalgia, The Flash, TV shows with tags anniversary, comic books, nostalgia, pop culture, The Flash, TV shows. You can follow any responses to this entry through the RSS 2.0 feed. You can skip to the end and leave a response. Pinging is currently not allowed. I just discovered your blog as a result of this article being Re-Tweeted. Great piece, and thanks for letting the world know that this was the day that the Flash zoomed onto our screens. I fondly remember watching this in a college dorm room with a fellow comic book fan, and us turning to each other once it was over and saying (with some shock)… “You know, that was pretty good!” Howard Chaykin wrote a few episodes, I recall, including the very strong “Deadly Nightshade” ep. you reference here. I liked The Flash, and wish it had gone on longer. But, oh well. Was still pretty damn good for its time! Good review of the series. I think I was in 8th grade when this came out. So 12-year-old CT loved it. When it came out on DVD a few years back, I Netflixed it with the intent to buy it later. Unfortunately, I didn’t feel they all quite held up as well as I remembered. But, I did notice the shift from the regular crime stories to the more super villainy sorts of stories and liked the latter half the season better. This was a bit of a precursor to Lois & Clark and I had always hoped for John Wesley Shipp to show up on L&C as the Flash. Finally, let me sing the praises of that Flash suit. It is one of the GREATEST super hero costumes ever. Perhaps a bit too bulky for the Flash and should have had gold boots, but other than that, I loved that thing and always wanted to see more Flash on the screen simply because of how awesome that thing was. 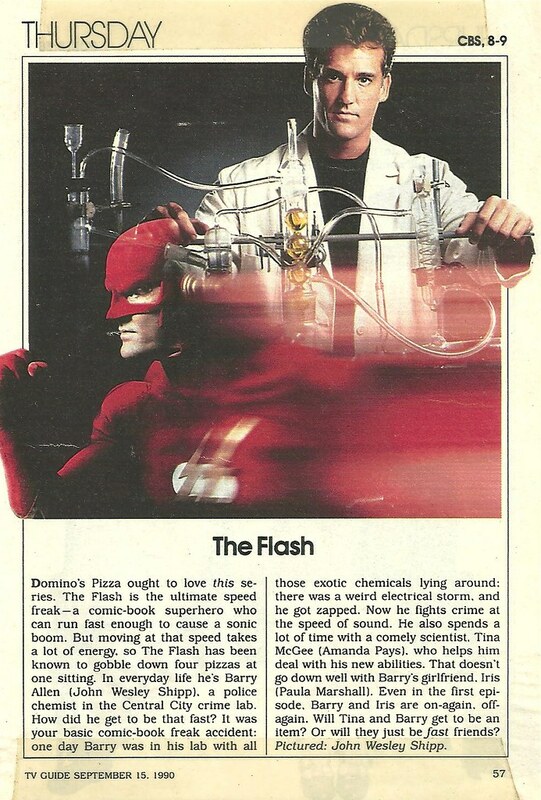 Though I can’t recall the exact circumstances of my first viewing of The Flash TV series, I do remember seeing as a kid and thinking it to be a little too campy with no supervillains. Obviously they fixed that in later episodes, but by then I had most likely moved on to The Simpsons. I only vaguely know who The Flash is…. mostly because of spoofs. I remember this show. Saw it a few times, and kind of enjoyed it. As I recall the plots were cheesy, but I was a kid, and it was fun. Hmmmm….this one isnt ringing a bell. I dont remember it.